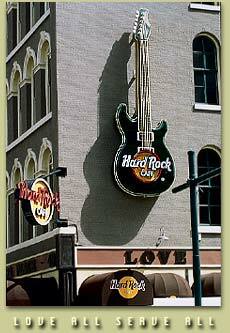 World Mardi Gras - 488-ROCK - Music hall featuring a New Orleans street theme. 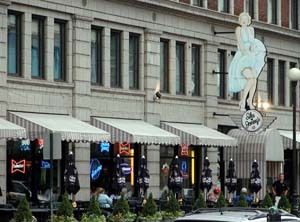 Gator's - a high-energy dance club based on a beach theme, featuring state-of-the-art audio, video and lighting. Flashbaxx A dance club done up in 1970s-style decor that features '70s and '80s music, DJ. These 4 clubs combine for almost 50,000 square feet. When there is a cover charge (usually $5), it will get you into all 4 clubs. There is also a virtual arcade up on the 4th floor as well. A San Francisco Eatery who brew their own beer. Tiny little place with live jazz nightly and they may charge you a cover. On 02/09/04 some 20 y/o women got in a fight and two ended up shot. On 04/04/04 two 22 y/o guys leaving the bar were shot and one died. 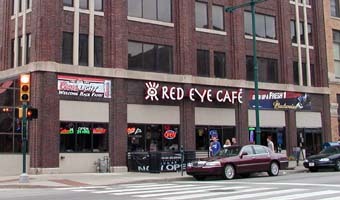 Police have repeatedly responded to reports of trouble at this nightclub since January 2001. Club Ten Tavern - 2127 E 10th St - 636-3168? This neighborhood bar is in a neighborhood you might want to stay out of if your squeamish. I attended in order to check out my friend's band. It was an entertaining evening, what with the people strung out on crack walking in and the people there were super friendly. I was worried about my car getting broken into though. The Cozy features 12,000 square feet of something for everyone. 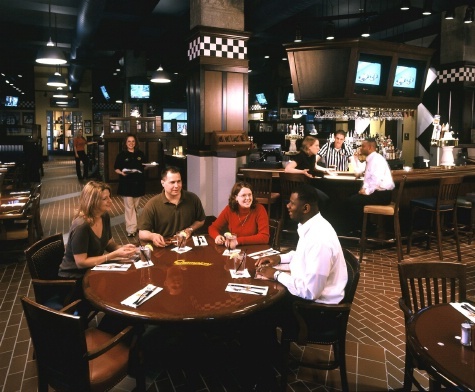 We have casual and fine dining at great prices, as well as full banquet facilities for receptions, etc.The Cozy offers various forms of entertainment from pool and darts to live music. 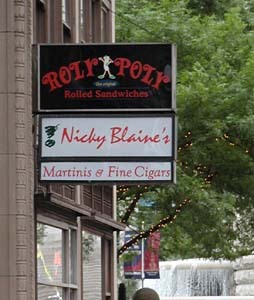 Room next to historic Fountain Square goes back in time about four decades to transform into sock-hopped diner from yesteryear. Live music. Friendly little neighborhood bar. They will rent you the place for partys and cater it. 70's theme dance club south of the circle on Meridian Street. They play lots of disco. 50's bar with dance floor. Can get really crowded late at night with people packed in and dancing. Lots of fun. Note, they may lay off the 50's-60's music and play typical dance music as the night progresses. 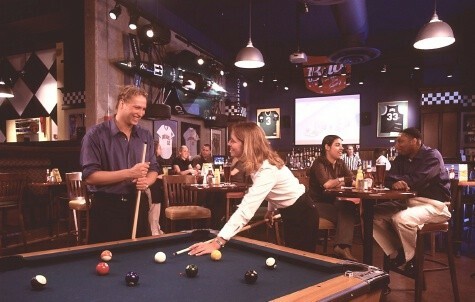 Jane's Double Overtime Tavern - 917-1191 - 28 S. Pennsylvania St. This place just opened at the beginning of 1998. Good food - all-American sandwiches with an Italian flair. Watch TV on bottom floor in bar, A lot of games to play on other floors - even bowling! also has a dance floor! 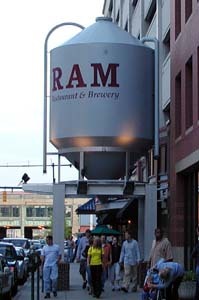 Feb 12, 1999 - According to paper, owner drank too much, then grabbed a female patron while she was talking to Larry Bird, and threw her from his pub . Owner gets charged with battery. Note to self: "Don't invite any lawyers when I get a bar." 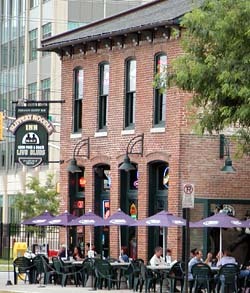 Seems to be a neighborhood bar in a historic area. I had good Buffalo Wings there while listening to recorded music that varied from old-time Jazz to Jimi Hendrix and watching the game. I hear a lot of cops hang out there. It kind of reminded me of a 50's bar for some reason. 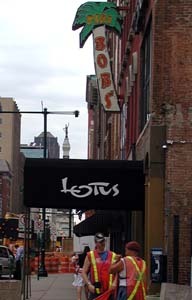 Lotus - 235 S. Meridian St.
A dance club where you will want to dress up more than for the clubs next door. There is a sushi bar on the ground floor. Decor is neat. The 2nd floor has a lounge, a bar and a dancefloor with big bass. The 3rd floor has a small liquor bar with lots of candles and some couches by the windows. There is a elevator and stairs. 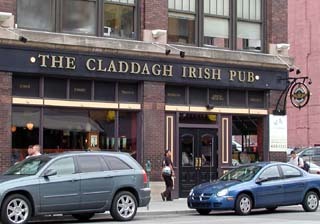 A neighborhood pub more likely found in the Bronx than near Butler Univ. Decorated in 1969 and not touched since. Wraparound booths and solid oak bar top make for total retro-coolness. Live Music. The Point - At intersection of Alabama and Massachusetts, just down the sidewalk from the Chatterbox tavern. There is a third road going thru this intersection which created a corner that comes to a sharp point. So they built the building that way and that is where this little bar is. Windows all around and shaped like a triangle. Seems to be a hangout for the artsy-fartsy...but this is such a neighborhood. On most nights, this German restaurant, located in the historic Athenaeum building across from the Murat, adds music to its menu. Whether you want rock or R&B, drop by for some schnitzel and tunes. The bands perform in the classy Kellersal Room. The history of the room makes the mood. Its a long narrow room with one aisle cutting down the center between a table on each side and it has a very high ceiling. In the warm months, drink and jam in the beirgarten (roof patio). 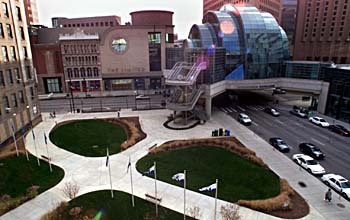 Opened in 2005 - I think they're open all night so when the bars kick you out, you can go there for food. 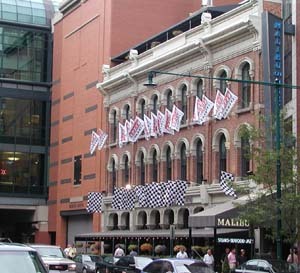 Cool architecture accents the upscale jazz artists. More restaurant than club, it does the jazz and food combination right. 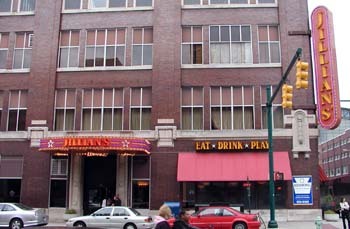 Outdoor roof top lounge on Fountain Square Theater Building. Opened March 2005 - They play 70's - 80's dance hits. The Sunshine Cafe - South Meridian across from Union Station. One bar in front, and a bar in back where you can listen to live music. Generally harder rock stuff. 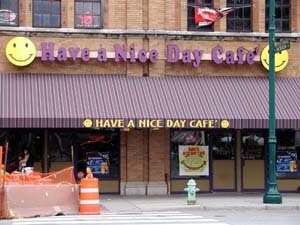 Another dance club next door to 'Have a Nice Day Cafe' and 'Lotus' clubs. Tomorrow's has been around for 15 years, but recently started featuring live music. It has a beautifully landscaped patio, along with a big screen TV, darts and a pool table. They have an 80's bar up front, an outside deck that plays hits from all decades, and a live DJ in the back bar that plays top 40 music. Utopia features a very cozy atmosphere. We have tables up front for dining (choose your favorite from sandwich/appetizer menus) and a high-energy dance floor in back. August 2006: Forced to cancel its Hip Hop night due to five murders and five injuries involved with people attending. Copyright � 1999-2005 IndySpeedway.com All Rights Reserved.